Today’s world of music has an amazing number of genres and sub-genres. Some of the oldest are blues, country and western, rock and rhythm and blues. The first three are easy for casual music fans to figure out. The fourth is more obscure. Rhythm and blues, commonly abbreviated as R&B, is a genre of popular music that originated in African-American communities in the 1940s. The term was originally used by record companies to describe recordings marketed predominantly to urban African-Americans. The roots of R&B can be traced to the doo-wop music of the 1940s. 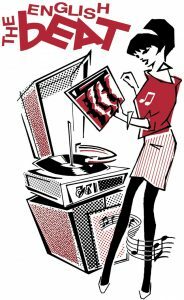 Doo-wop is a genre of rhythm and blues music that was developed in African-American communities in the East Coast of the United States in the 1940s, achieving mainstream popularity in the 1950s and early 1960s. Built upon vocal harmony, doo-wop was one of the most mainstream, pop-oriented styles of the time. The late 1940s and early 1950s brought the so-called “bird groups” of doo-wop — The Swallows, The Ravens, The Orioles, The Penguins, The Crows, The Flamingos, The Blue Jays, The Cardinals, and The Larks. The earliest and most popular of these were two groups from Baltimore – the Ravens and the Orioles. 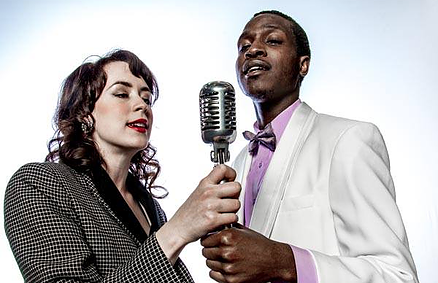 Now through June 30, the Uptown Knauer Performing Arts Center (226 North High Street, West Chester, http://uptownwestchester.org) is presenting the world premiere of a great new musical called “Soul Harmony: The Story of Deborah Chessler, Sonny Til and The Orioles” – a show focusing on doo-wop pioneers Sonny Til and the Orioles along with their partner/agent/songwriter Deborah Chessler. The show was written by Michael Allen Harrison and Alan Berg. It features the direction and choreography of Terrence Kelley along with music by Harrison and Berg. “Michael wrote the music and I wrote the lyrics for the original, award-winning score,” said Berg, during a phone interview Wednesday afternoon. “Together, we wrote the award-winning script. When a young Jewish singer/songwriter, Deborah Chessler, partnered with a dynamic black vocal group, The Orioles, they made history. “It’s Too Soon to Know” was a Number One hit. More chart-topping songs — “Crying in The Chapel”, “Tell Me So”, and “Hold Me, Thrill Me, Kiss Me” — became part of an unforgettable story. It is a musical story that is set in the social context of the times — that of rigid segregation in an industry that often failed to take women seriously or treat black performers equally. “I presented the story when I was teaching in western Massachusetts at Williams College,” said Berg. “I used it to give a positive example of a past time period when people of different backgrounds changed society through music. “Greil Marcus from Rolling Stone magazine wrote an essay – ‘The Deborah Chessler Story.’ It told the story that had been forgotten. Around 2011, I called Greil and asked – is this woman still alive. The result was the birth of this show. Dooley won a PAMTA Award for Outstanding Debut in the 2015 debut of “Soul Harmony.” The role of Deborah Chessler is played by Monica Rodrigues, a gifted new musical theater talent from New York. Her previous roles include Lulu in “Cabaret,” Maria Elena in “Buddy – The Buddy Holly Story” and Deborah Chessler in the 2015 debut of “Soul Harmony,” for which she was nominated for Best Actress/Featured Performer. 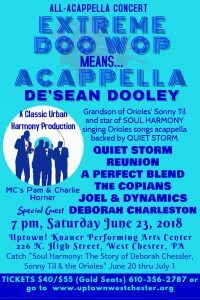 Other cast members include “King of Oldies”, Philly DJ Ali Hackett; Music historian and Classic Urban Harmony owner, Charlie Horner; and Joel Katz, whose “Classic Doo Wop” show sold out at Uptown! last fall. 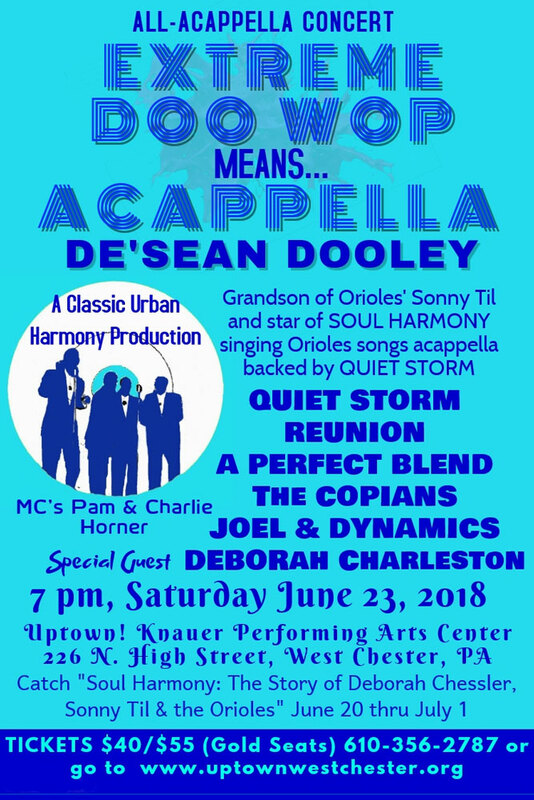 The concert will feature Quiet Storm, De’Sean Dooley backed by Quiet Storm, Deborah Charleston backed by Quiet Storm, JT Morgan, Reunion, A Perfect Blend, and The Copians. The concert will start at 7 p.m. with tickets priced at $40 and 455. Video link for “Soul Harmony: The Story of Deborah Chessler, Sonny Til and The Orioles” — https://youtu.be/zhBg4SeDWAY. The show will run now through June 30 at the Uptown Knauer Performing Arts Center. Standard reserved seating is $40 and $55. When you’re a band that has been around for 22 years, it can be difficult to find new experiences. Such has not been the case for Red Wanting Blue. The Ohio-based band just released its 11th album and used an entirely different approach in the making of the LP. Red Wanting Blue is also playing for the first time ever at the Sellersville Theater (24 West Temple Avenue, Sellersville, 215-257-5808, www.st94.com). The band – Scott Terry – vocals, tenor guitar, ukulele; Mark McCullough – bass, chapman stick, vocals; Greg Rahm – guitar, keyboards, vocals; Eric Hall – guitar, lap steel, vocals; Dean Anshutz – drums & percussion — will headline a show at the venue on June 21. 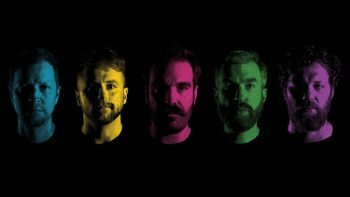 Red wanting Blue, or RWB as it is known to its fans, is touring in support of its new album “The Wanting,” which was recorded in Nashville with Will Hoge as the producer. “We all went to college at Ohio University in Athens, Ohio and formed the band there. When we first started, we were a four-piece. We put out two albums when we were in college. After a while, the need for a change rose to the surface. 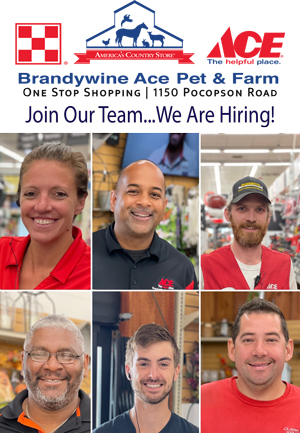 “After those albums with Fanatic, we decided we weren’t going to be a slave to the road,” said Terry, who spent his teen years in nearby Moorestown, New Jersey (and even had his first job at the Moorestown Mall). “We took control of our own destiny. After 20 years and 10 records, we said – what are we going to do different? “I remember Emerson Hart from Tonic, Will and I talking. Emerson said — give it time…you have to let a song sit…then you can look at it differently. So, we stopped being a slave to time. ‘The Wanting’ represents that from the band – writing, working, doing demos – working with each other. “For at least a week every month, we were in our studio in Columbus. Previous RWB recording work has been reflecting touring non-stop. ‘The Waiting’ is the culmination of years of people jumping on the moving train. Another big factor in the new album is the addition of Hoge as the producer. “Will has been a big fixture in our lives for the last decade,” said Terry. “We’ve toured together and we’re great friends. On a day off during the band’s sixth annual trip aboard the Rock Boat cruise, Will’s wife and our wives said that they thought it would be great if we worked together. It was a good idea. Video link for Red Wanting Blue – https://youtu.be/GL5N-vNZUes. The show at the Sellersville Theater, which has Liz Brasher ss the opening act, will start at 8 p.m. Tickets are $19.50 and $29.50. Other upcoming shows at the venue are Southern Culture on the Skids on June 22, The Dustbowl Revival on June 23, “Tribute To Dave Brubeck & More” performed by The Eric Mintel Quartet on June 24 (1:30 p.m.), Marc Cohn on June 24, Junior Brown on June 25 and Bobby Messano & Broken Toys on June 27. On June 22, there will be two interesting acts – very different acts, one very new and one very old — performing a few blocks away from each other in downtown Philadelphia. 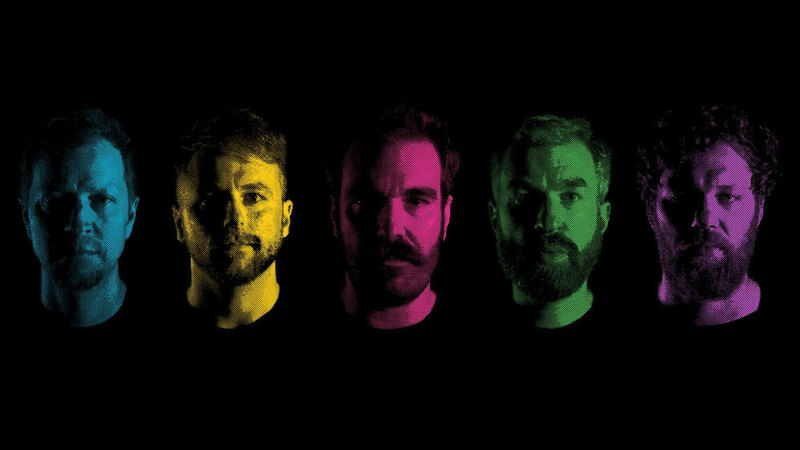 The earlier show will feature NUEX at Kung Fu Necktie. Later in the evening, The English Beat will headline a show at Underground Arts. The concert at Kung Fu Necktie (1248 North Front Street, Philadelphia, 215-291-4919, kungfunecktie.com) will feature DC-based electronic-pop duo NUEX. NUEX that just released its debut EP “Affectus” on May 25. Showcasing the duo’s dark, experimental sound, the EP is a five-track collection that fuses haunting synths with kick-clap, hip hop-influenced rhythms. 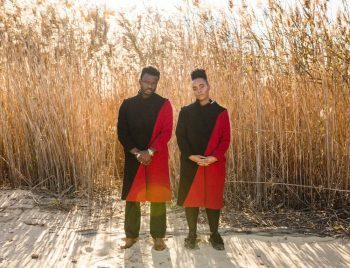 Featuring singer-songwriter Camille Michelle Gray and drummer-producer Teddy Aitkins, NUEX has a brief history that dates back to 2014. Aitkins said, “I was looking for someone like Camille. It was cool. You could list tags and there was a bunch of bands that we were both into. We both liked bands like M83, Coldplay and Empire of the Sun – people that make big music. The two began recording demos in the basement of Gray’s house just days after meeting and quickly developed a chemistry that would eventually define their sound and lead to the release of their debut singles “Lights Off” and “I Make Bones” in 2016. NUEX first brought its sound to Liv Nightclub in 2014 in D.C., in what would become their first of dozen shows along the eastern seaboard. NUEX have since built a regional fan base from performing in Philadelphia, Baltimore, New York City, and D.C. The duo has performed at the Smithsonian Institute and the Natural Portrait Gallery. They recently won the chance to perform and represent Washington D.C. in Austin, Texas at SXSW out of an applicant pool of thousands. “Not only do we like the same music, we also have very diverse tastes in music – jazz, pop, hip hop, rock,” said Aitkins. Even though NUEX has a relatively small discography, it has the ability to fill a set with original tunes. Video link for Nuex – https://youtu.be/XyYbC_ej2k0. The show at Kung Fu Necktie (1248 North Front Street, Philadelphia, 215-291-4919, kungfunecktie.com), which also features Yeek, Marco McKinnis and Gianni Lee, will start at 7 p.m. Tickets are $12. Other upcoming shows at Kung Fu Necktie are Of Feather and Bone on June 21, Disc on June 22, Little Vicious on June 23, Jesse Marchant on June 24, Goat Wizard on June 25, ASG on June 26 and Proper Dark in June 27. Dave Wakeling is a native of England who has lived in America for the last quarter-century but still stays deeply in touch with his British roots — especially the Two Tone music scene and English football (the Premiership football, which is England’s top soccer league, and currently the World Cup). Two Tone music arose in England in the late 1970s and featured a blend of music styles including reggae, New Wave, ska, pop, rocksteady and punk rock. Wakeling was the singer/songwriter of two of the most popular Two Tone bands of the 1980s and 1990s — The English Beat and General Public. Wakeling may be a full-fledged Californian now but he never formally put either of his bands to bed – especially The English Beat. Wakeling and the current edition of The English Beat are now touring North America in support of the band’s new album “Here We Go Love.” The tour brings The English Beat to the area on June 22 for a show at Underground Arts (1200 Callowhill Street, Philadelphia, http://undergroundarts.org). “Here We Go Love, which is the band’s first studio album since 1982, was just released on June 15. As engaged and switched-on as ever, Wakeling’s lyrics draw from observing life — and the tumultuous events of recent months. His thoughts on what holds us together, but also the impermanence that underscores the human condition, have never been more relevant. “Here We Go Love” has been crafted over the last two years in between breaks from touring. “What seems to be happening with the reviews is that the song ‘Never Die’ is getting great reviews,” said Wakeling, during a trans-Atlantic phone interview from London Tuesday afternoon. “They’re saying that it’s not only a great ‘The Beat’ song but a great song in general. “The Beat has been a party band. We never really sang about death. Now, we sing songs about our parents dying. We seem to have hit the nail on the head with this song. Wakeling was the singer/songwriter of two of the most popular bands of the 1980s and 1990s – The Beat (known in America more as The English Beat) and General Public. Originally known as The Beat in its home country back in the 1970s, the band changed its name to The English Beat because there was another band in America at the same time that was using the name. The Birmingham (England) native moved to California more than 30 years ago but never signed off on the death certificate for the English Beat. The second album by The Beat — “Wha’ppen?” — yielded more U.K. hits, with “All Out to Get You,” “Drowning” and “Doors of Your Heart” — all of which broke into the Top 40 of the U.K. Singles Chart. “The ska/punk scene in Birmingham developed because of the industrialization – the car track – same as Detroit. People from different races worked together. After a while, they realized they had more in common with each other than they originally thought. The English Beat’s present lineup features King Schascha (toasting), Minh Quan (keyboards, vocals), Deborah Troiano (background vocals), Mark Spiller (drums, vocals), Mark London Sims (bass, vocals), Matt Morrish (saxophone/vocals), Kevin Lum (keyboards, vocals), Hidden Kulcha (guitar) and Wakeling (lead vocals, guitar). “We spent most of the last three years making the album,” said Wakeling. “We recorded it at NRG Recording Studio in North Hollywood. We got to use vintage gear from the 1960s – great analog equipment and beautiful microphones. Wakeling was also thrilled with England’s exciting win over Tunisia with a last-minute goal securing a 2-1 opening game victory at the World Cup in Russia. He’s hoping the excitement continues on Sunday when England plays Panama in Nizhny Novgorod. Video link for the English Beat – https://youtu.be/dPBZ5UaQHLc. The show at Underground Arts, which has Ghost Town Steppas as the opening act, will start at 9 p.m. Tickets are $25. The Candlelight Theatre (2208 Millers Road, Arden, Delaware, 302- 475-2313, www.candlelighttheatredelaware.org) is always a great place to enjoy an evening of top-flight musical theater entertainment along with a tasty buffet dinner. “Boeing Boeing” is set in Paris, France –- set in an era when Paris was the “City of Love,” flight attendants were called stewardesses, and the “Swinging 60s” was all about fun-loving good times. A rip-roaring bedroom farce written by Marc Camoletti, “Boeing Boeing” debuted on Broadway in 1965. The 2008 revival garnered several Tony Award nominations. Performances are Friday and Saturday evening (doors 6 p.m./show, 8 p.m.) and Sunday afternoon (doors, 1 p.m./show, 3 p.m.). Tickets, which include dinner and show, are $63 for adults and $33 for children (ages 4-12). On one thursday night each month, the Candlelight Theater becomes the Candlelight Comedy Club. 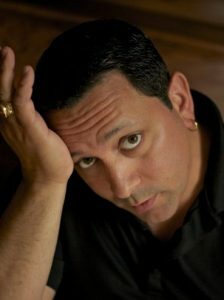 This month’s comedy night is set for June 21 with comedian Joseph Anthony as the headliner. He is a Brooklyn native and son of an Italian immigrant father. The opening act is LaTice, an African-American comedian, was born and raised in the white suburbs of South Jersey – a life experience that has provided her with a lot of material. Doors open at 6:30 p.m. and the show starts at 7:30 p.m. Tickets are $30 and include a light fare buffet. Cash bar is available. The 200 block of South Broad Street in Philadelphia will be a hot spot for live theatrical entertainment through the weekend. 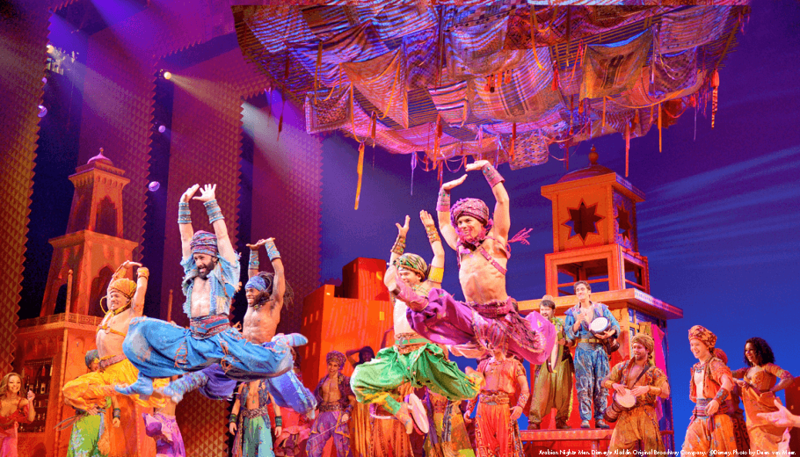 “Disney’s Aladdin” will run June13-July 1 at the Academy of Music. Tickets start at $20. From June 20-24, the Kimmel Center is presenting Champions of Magic at the Merriam Theater (250 South Broad Street, Philadelphia, 215-893-1999, kimmelcenter.org). 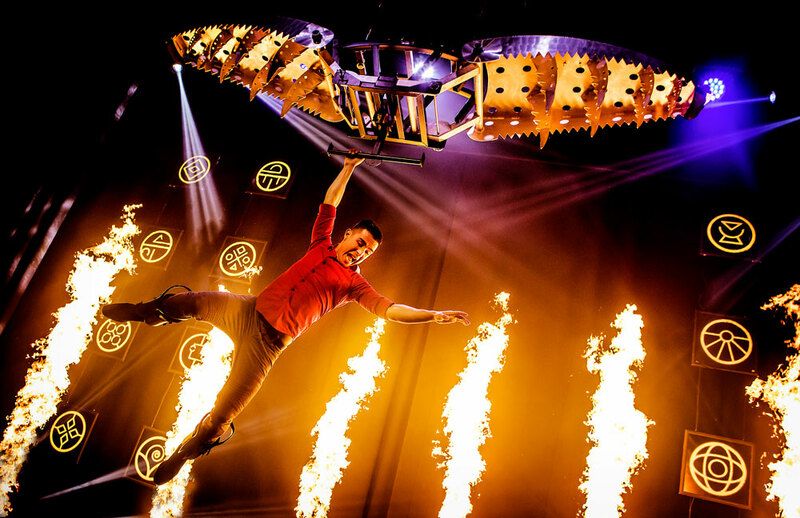 The five world-class illusionists in this theatrical production first found fame in London’s West End. The show features illusionists Young & Strange, acclaimed mind reader Alex McAleer, escapologist Fernando Velasco and close-up magician Kayla Drescher. The production features mostly original magic that was created or devised by the performers and production designers. 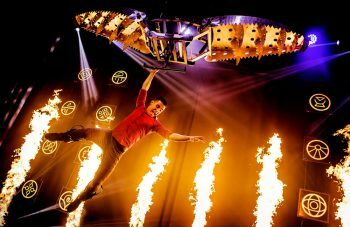 The show is known for its production including a large lighting rig and pyrotechnic effects. Video link for Champions of Magic — https://vimeo.com/215531871. 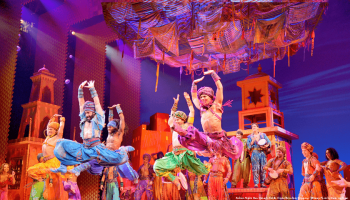 The show at the Merriam is running now through June 24. Ticket prices range from $25-$125. Kennett Flash (102 Sycamore Alley, Kennett Square, 484-732-8295, http://www.kennettflash.org) will have Countdown to Ecstasy on June 22, The Ian Fidance Stand Up Comedy Show with Claire Parker, Rachel Fogletto, Michael Brooks, and Alyssa Truszkowski on June 23, and “Chasing Trane – Films & Words at The Flash” on June 24. On June 27, The Kennett Flash & Anson B. Nixon Park will team up to present “Edgardo Cintron & The Inca Band — A Tribute to Santana” at Anson B. Nixon Park. The show, which is free and open to the public, will start at 7 p.m. The Ardmore Music Hall (23 East Lancaster Avenue, Ardmore, 610-649-8389, www.ardmoremusic.com) will have Broken Arrow (Neil Young Tribute) and The Newspaper Taxis (Beatles Tribute) on June 22, Trevor Hall on June 23, and Conan O’Brien bandleader Jimmy Vivino featuring Steve Guyger and Greg Sover along with special guest David Bromberg on June 24. The Keswick Theater (291 N. Keswick Avenue, Glenside, 215-572-7650, www.keswicktheatre.com) will host “The Monkees present: The Mike & Micky Show with Mike Nesmith and Micky Dolenz on June 21, and “Cesar Millan Live!” on June 24. Tags:Countdown to Ecstasy · Doo-Wop · Featured · Joseph Anthony · NUEX · Red Wanting Blue · Soul Harmony · The English Beat · Uptown!